Computational lenses replace the role of physical lenses in an imaging instrument with their computational equivalent. An example of this is three-dimensional single particle imaging. Here, the computational lenses classify an unsorted ensemble of measurements to form the most compatible three-dimensional structure from lower-dimensional projections. Specifically, many random and noisy two-dimensional diffraction patterns of individual biomolecules are recorded at high speed. Thereafter, a Bayesian classification algorithm infers the most likely family of three-dimensional structures that is compatible with these measurements. In many applications of computational lenses, the basic principles behind either the image formation process or the sample-probe interactions have been known for many decades. However, pursuing their consequences are numerically intensive and requires high-fidelity measurements. In the past two decades, owing to faster computers and brighter X- ray/electron sources, many of these principles can now be effectively translated and inte- grated directly into imaging instruments as computational lenses. 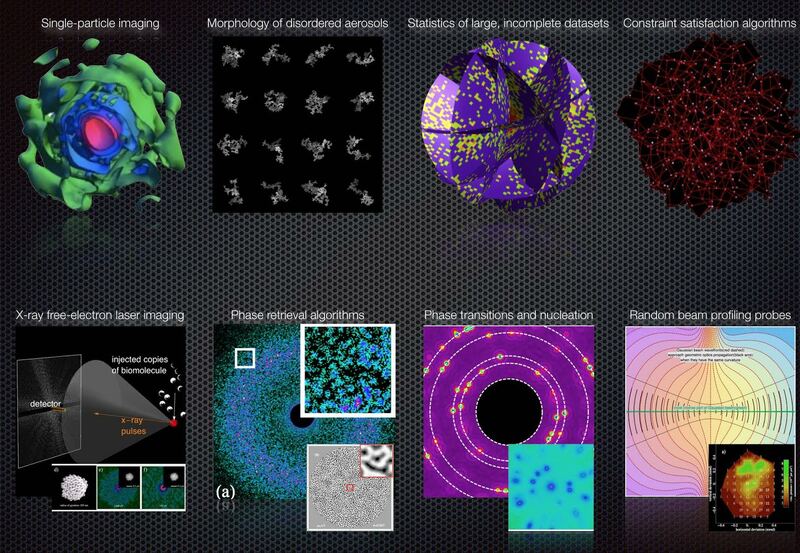 In this talk, I will outline the basic principles of computational lenses in high resolution X-ray and electron microscopy, show examples of their applications, describe new applications that our group is currently developing, and speculate on the limitations and opportunities in high resolution X-ray and electron microscopy.